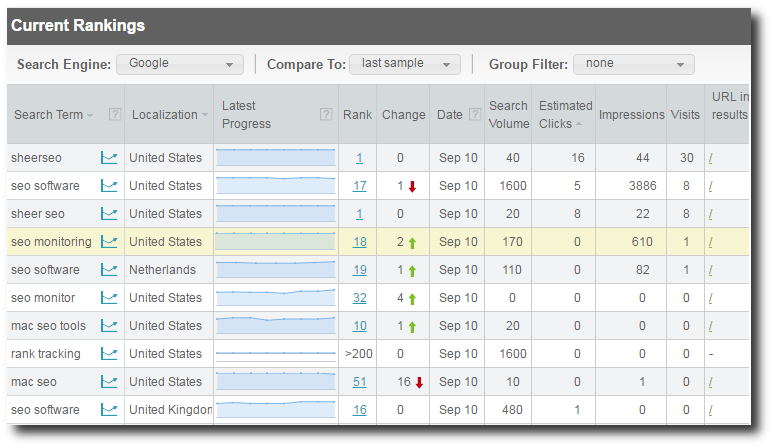 Track your keywords in all major search engines. Check your progress and see accompanying data per each keyword like: search volume, visits, impressions, change since last week. View historical data in clear graphs. Compare how you fare against competition. Export this data to PDF or Excel. 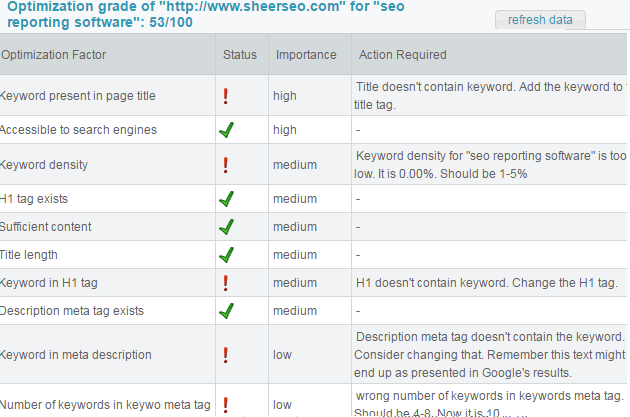 Get optimization grade and see what needs to be fixed to get your page fully optimized for each keyword. 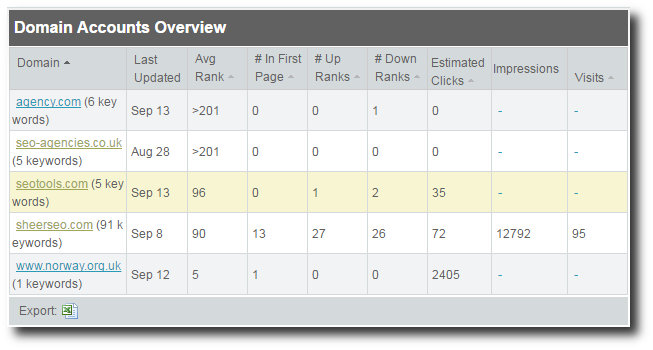 Compare your page to other pages that rank on first page for that keyword. 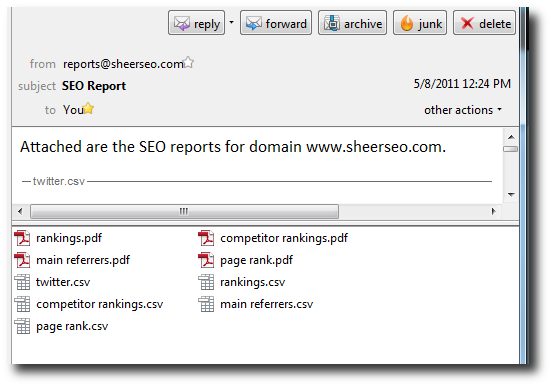 Explore the main backlinks of your site and of your competitors' sites. Guard your main backlinks and get alert once one of them drops/changes. Create new backlinks from relevant bloggers & web directories. Many SEO agencies use our software for tracking their clients, optimize websites and manage backlinks. We have special features for SEO agencies like management of multiple domains with quick overview, multiple logins, white label and xml api. Reporting to clients can't be easier with PDF and CSV reports. Track your website's appearance in FaceBook and Twitter.